What Does Your Warranty Really Cover? When it comes to such a large investment like a new roof or siding, warranties and what they really cover can be the swing vote in which company or materials you use. There are two main types of warranties you will encounter; the manufacturer’s warranty and the labor warranty. A manufacturer’s warranty is exactly what it sounds like and comes directly from the manufacturer of your roof or siding. A labor warranty is the warranty you receive from the company installing your roof or siding. The two are completely separate and typically, will cover different issues. When we reference your manufacturer’s warranty, we mean the baseline limited liability warranty. Most manufacturer’s offer an upgraded warranty that provides more coverage but of course, it comes at a higher price where as the baseline warranty is free and comes with the purchase of materials. The limited liability warranty typically only covers manufacturer defects. For example, you noticed a hole or crack in your shingle that was not from installation or from anything else like storm damage. It truly covers just the bare minimum. Like mentioned, you can always purchase an upgraded warranty most of the time and manufacturer’s will offer varying levels of coverage. 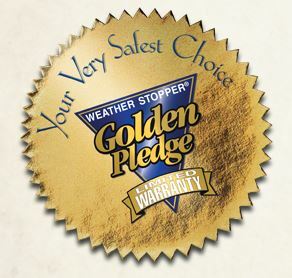 GAF, one of the most reputable shingle supplies, offers one of the most comprehensive warranties in the industry; The Golden Pledge. This warranty covers so much, only Master Elite roofers like Modern Remodeling can offer it to their customers. This is because GAF’s Golden Pledge® Ltd. Warranty covers both manufacturing defects and the contractor’s workmanship. Whether or not your contractor remains in business, GAF will stand behind his workmanship for 25 years! In our experience, unless you have an upgraded manufacturer’s warranty, most of your issues will fall within your labor warranty. The length of labor warranties vary from contractor to contractor but they typically cover the same things; installation defects. Common mistakes include improper mailing of shingles, insufficient flashing or improper installation of flashing, etc. 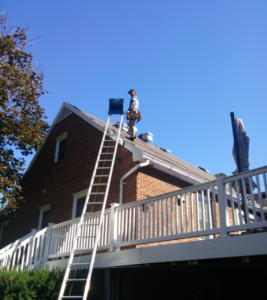 Hopefully, you do not encounter these problems and you should not if you go with an experience roofer like Modern Remodeling. There are some grey areas, though, that your labor warranty may not cover. 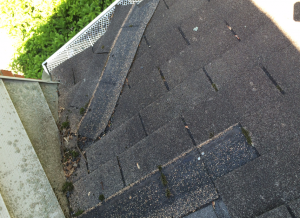 A common call we receive is regarding shingles blowing off. I always ask our customer if this happened after a severe storm or not and 9 out of 10 times it did. In this situation, this is not technically an installation issue but rather, storm damage. Since, it is not covered under a labor warranty, there could be a small fee associated which is why it is important to talk to your contractor about what is and is not covered, and what happens when something is not covered. In all situations, we always recommend calling your contractor first. They can help you decipher it is it a manufacturer, installation or some other type of issue. Here at Modern Remodeling, we are able to assist our customers in their repairs in any situation, whether we work with the manufacturer, the insurance company or fix it ourselves. For more information about warranties or if you have a concern, feel free to contact us!